Most people who read this would know I publish books via my boutique press FableCroft Publishing. In 2015, we’ve brought out two original anthologies, Cranky Ladies of History and Insert Title Here, Dirk Flinthart’s debut collection Striking Fire and the reprint ebook anthology Focus 2014: highlights of Australian short fiction (the third of an annual series) (and there may be a couple more things yet to come…). What you might NOT know, is that this year I’ve also had several publications of my own! They are all non-fiction, and I’m rather chuffed about them, particularly when they have mostly been for paying markets! The first was an essay in the latest Mad Norwegian Press Doctor Who book, Companion Piece. Edited by Liz Barr and LM Myles, Companion Piece focusses exclusively on the companions of Doctor Who – my essay is about Tegan, the Australian companion! 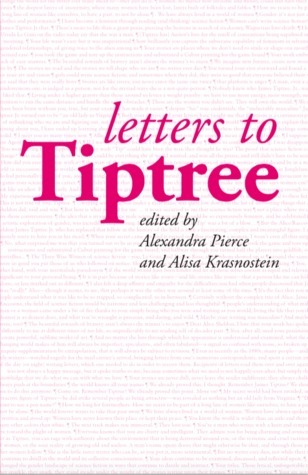 Following that, I have a letter in the Twelfth Planet Press tribute to James Tiptree Jr / Alice Sheldon / Raccoona Sheldon, Letters to Tiptree. 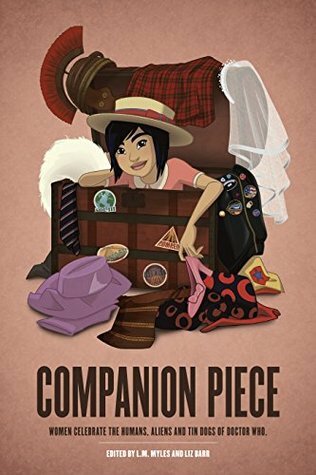 This book is amazing and a powerful collection of work showcasing writers inspired by Sheldon’s story and her work. Adding to these essays, I recently had an article published in the magazine Magpies, aimed at school libraries and librarians. I pitched the idea to the editors and was delighted to have it accepted, even though I only had about a week to then interview the authors and write the 1600 piece! The article is titled “Collaboration is the human superpower”, and is a feature focusing on the recent YA novel Zeroes by Scott Westerfeld, Margo Lanagan and Deborah Biancotti within the broader context of the superhero popularity of today. It’s not online anywhere but I will probably blog the article when the exclusivity period ends. And I was really pleased to do my first review for Books+Publishing this month! I think it’s the first time I’ve been paid to write a book review, and I’m hoping to be able to do some more. I reviewed Alison Goodman’s forthcoming novel Lady Helen and the Dark Days Club which is out early 2016, but the review is behind a paywall, sorry! Oh, and just last week I was part of the latest SF Signal Mind Meld, on the topic “The books that made us love science fiction and fantasy” – this one WASN’T a paid piece, but I had a lot of fun writing it and check out the fantastic company I’m in!